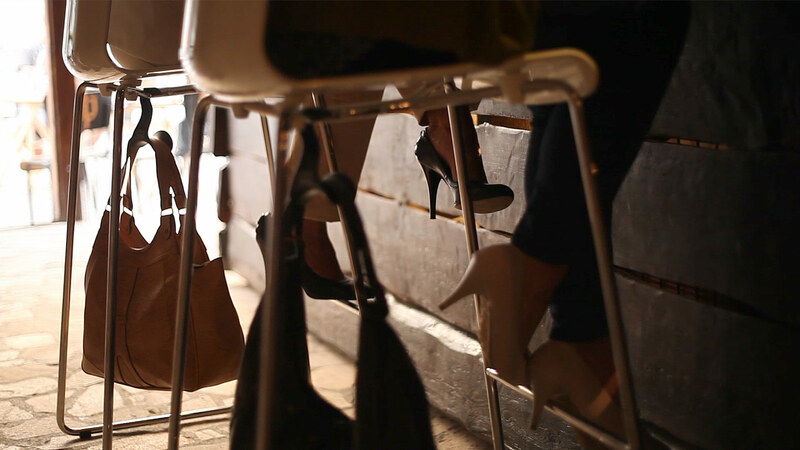 Storing the handbags in a position that differs from the only appropriate vertical hanging position. Handbags look their best when they are stored hanging in a certain way which preserves both their handles and their bodies from deforming. Handbags are designed to be carried in a human’s hand. That is why the most appropriate and the less disruptive way for hanging a handbag should imitate the way that it is worn in a woman’s hand. 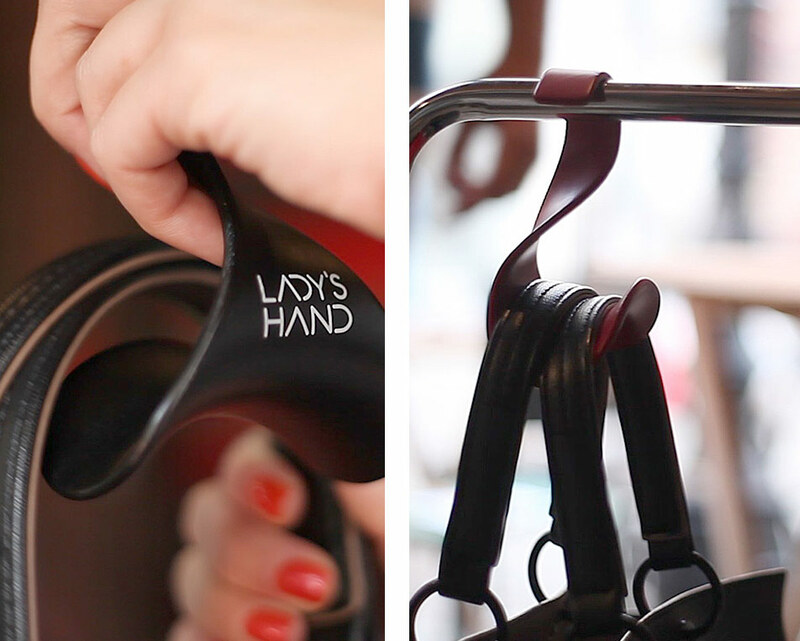 It means that the handles should take vertical position to the body of the handbag, as well as the body itself shouldn’t be pressured by another handbag or surface. 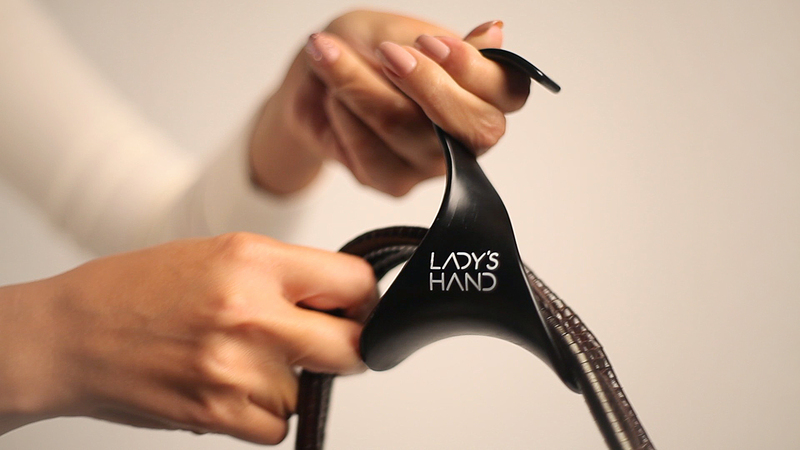 This inspired the design of Lady’s Hand hanger, which follows the shape of the female hand and simulates the way a woman naturally holds her handbag. 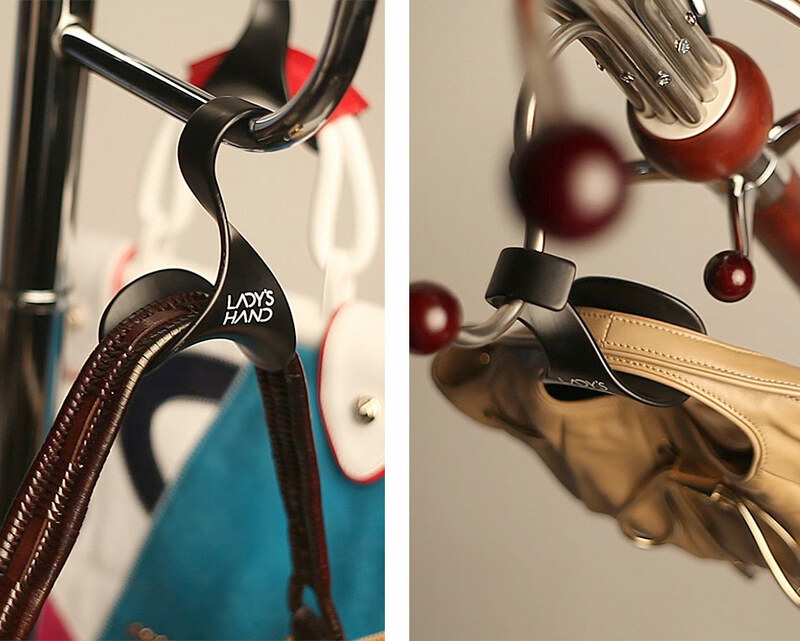 Just hang your handbag on the hanger’s bearing part and apply the hook to any portable or fixed object with a rail to hang on. It’s that simple! You may now keep your handbag safe anywhere: in the closet, on the bus’ horizontal rail, on the car seat headrest poles while driving and even on a standard shopping cart rail, while shopping. 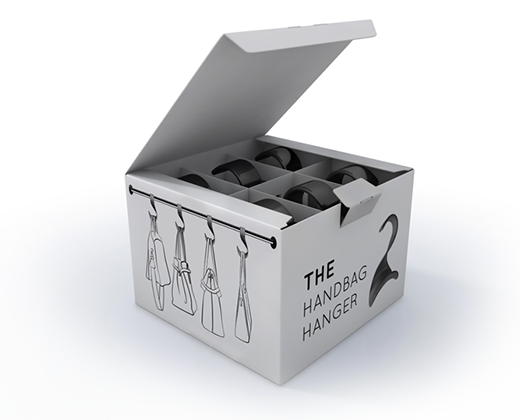 You may use the hanger at your office, in the cafes, bars and restaurants you visit, take it when you travel and you can basically put it anywhere possible, where you can hang a regular hanger.